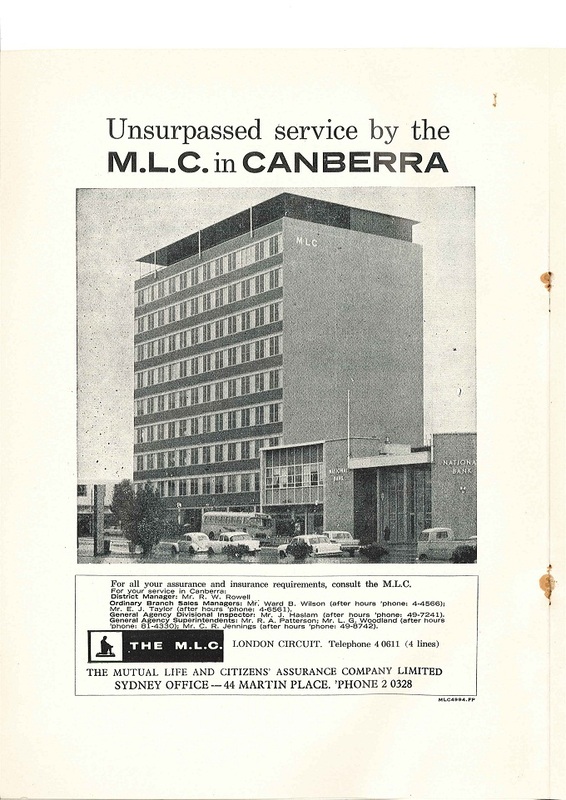 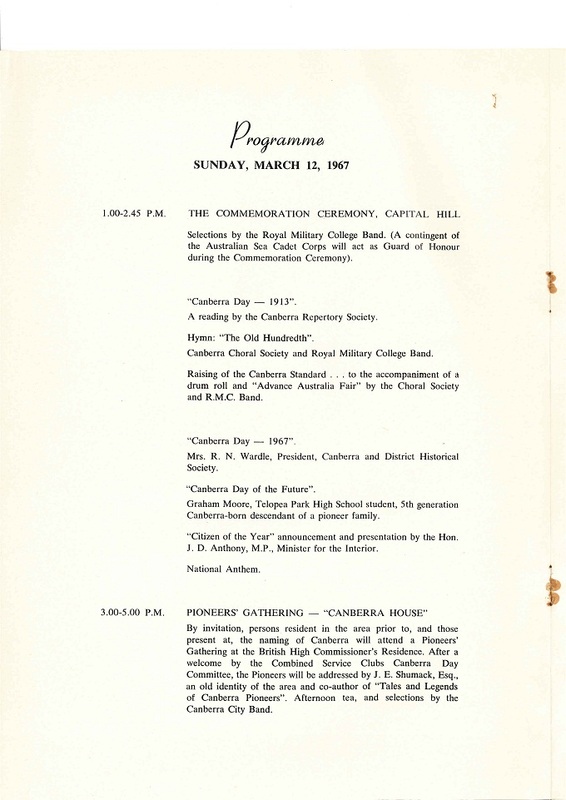 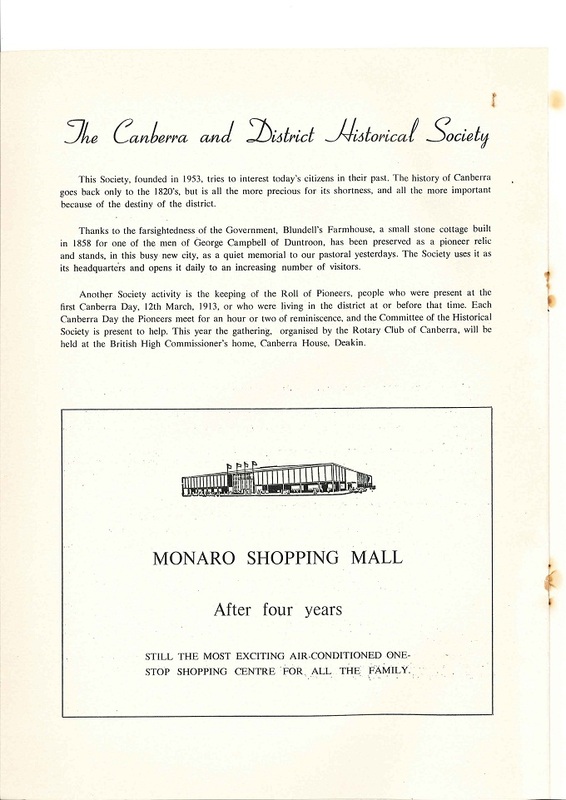 This month ArchivesACT has found an original copy of the 1967 Canberra Day Official Programme. 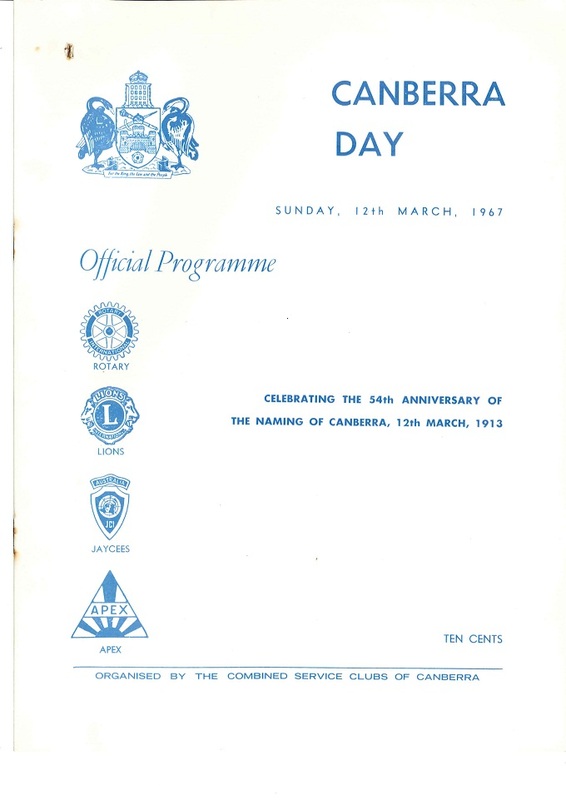 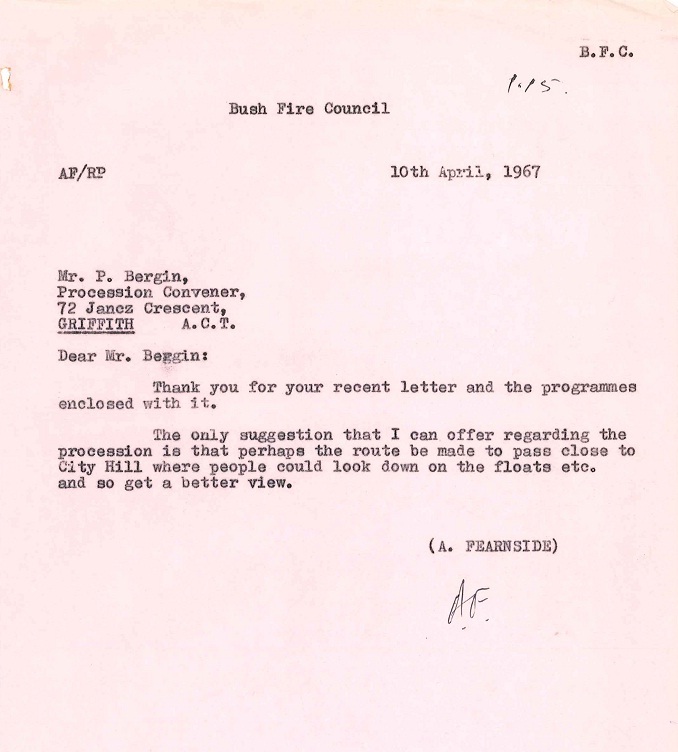 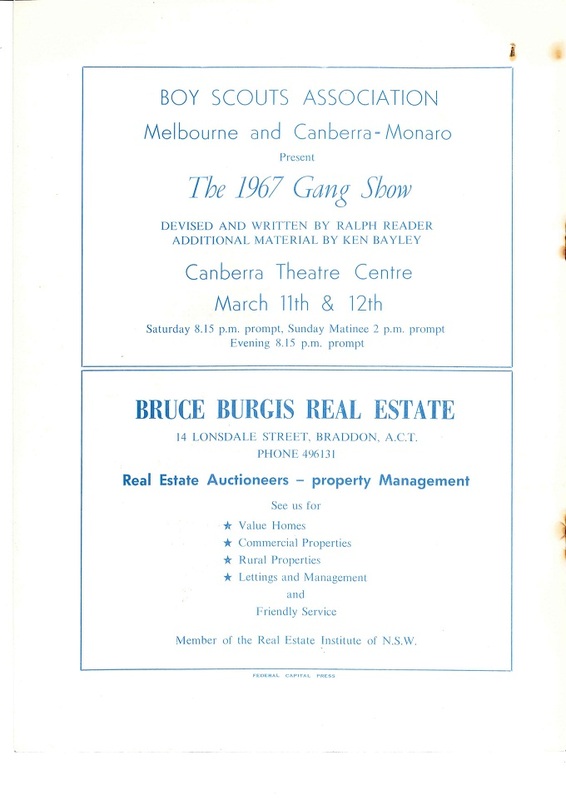 As is often the case, this programme was not found on a file specifically related to Canberra Day but on the more general file ‘A3811-1/15 - Bush Fire Council - Publicity - Displays and Demonstrations’. 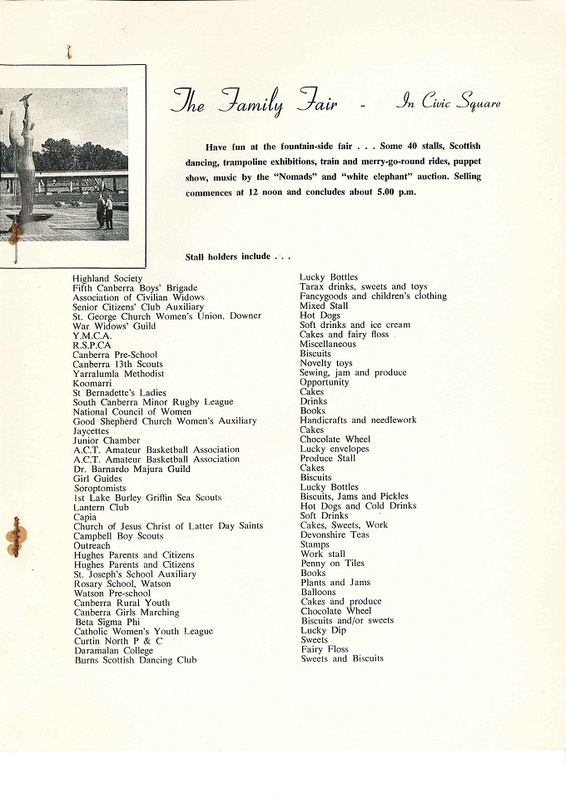 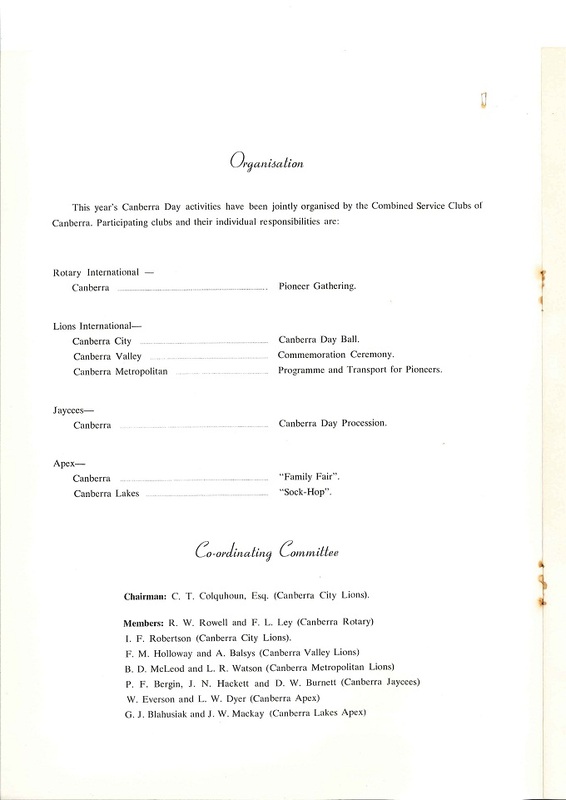 This file also has details on field days and parades that the ACT Bush Fire Council participated in from 1967 to 1972. 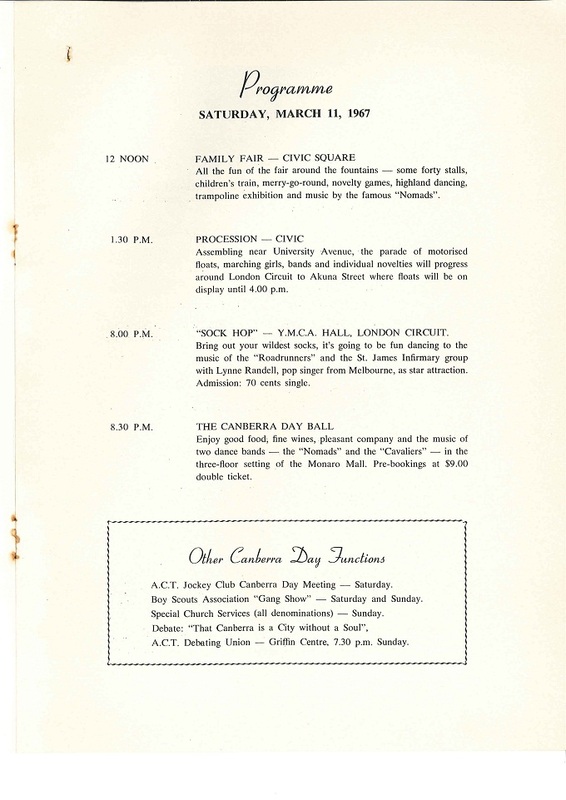 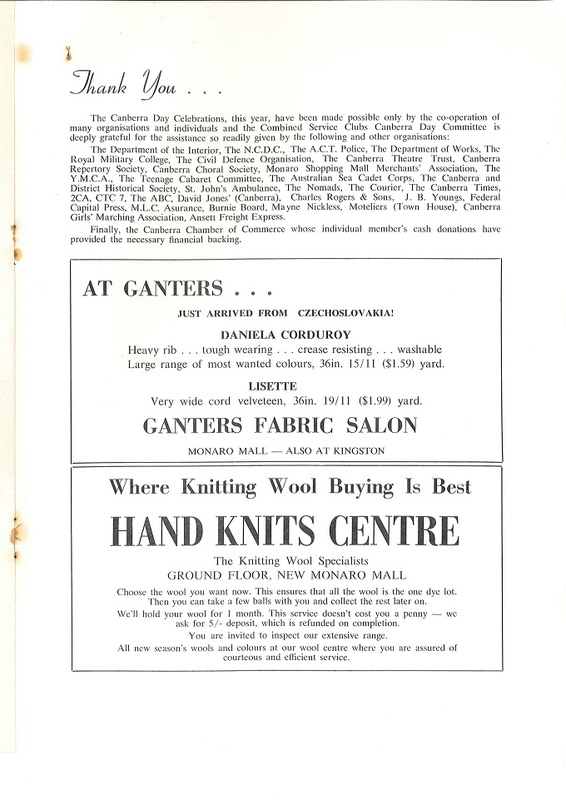 It wasn’t until 1951 that Canberra Day festivities actually taking place were reported on. 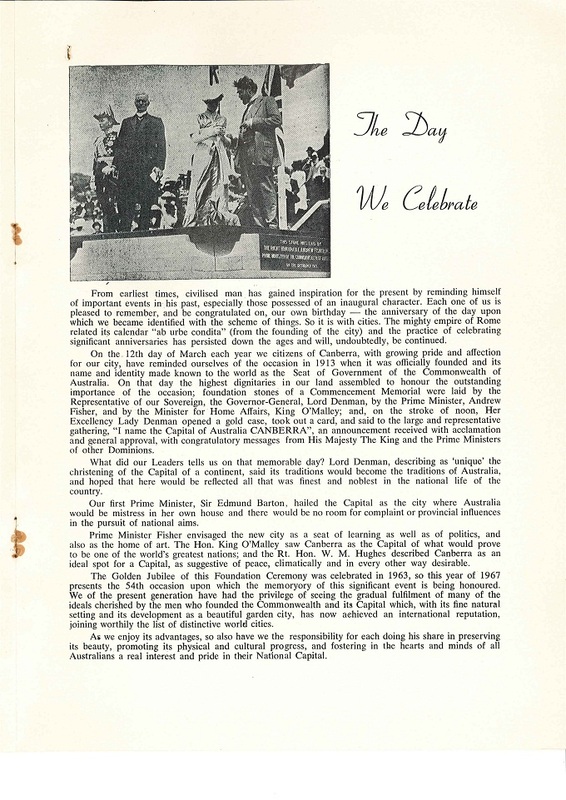 However these celebrations were part of the Jubilee Celebrations for that year and there was still no official Government recognition of Canberra Day as an annual event. 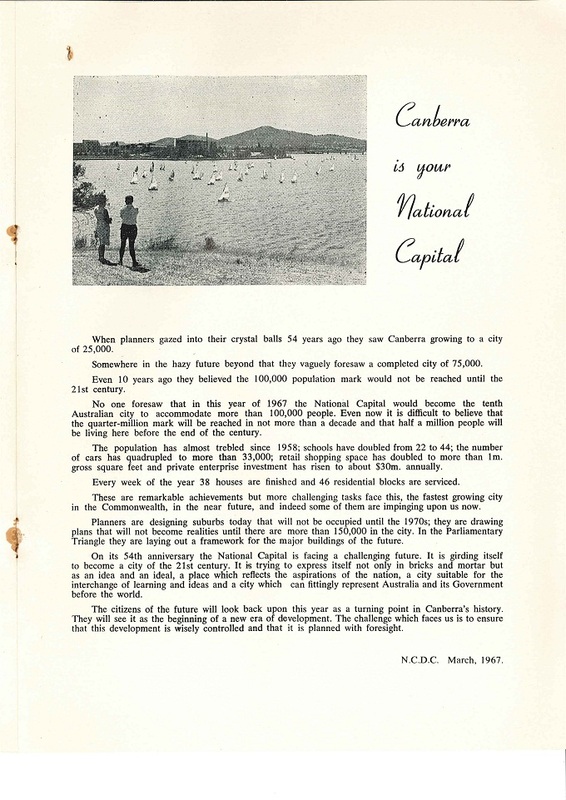 A recent event for Canberra Day is the release of ACT Government records from 20 years before by the Director of Territory Records. 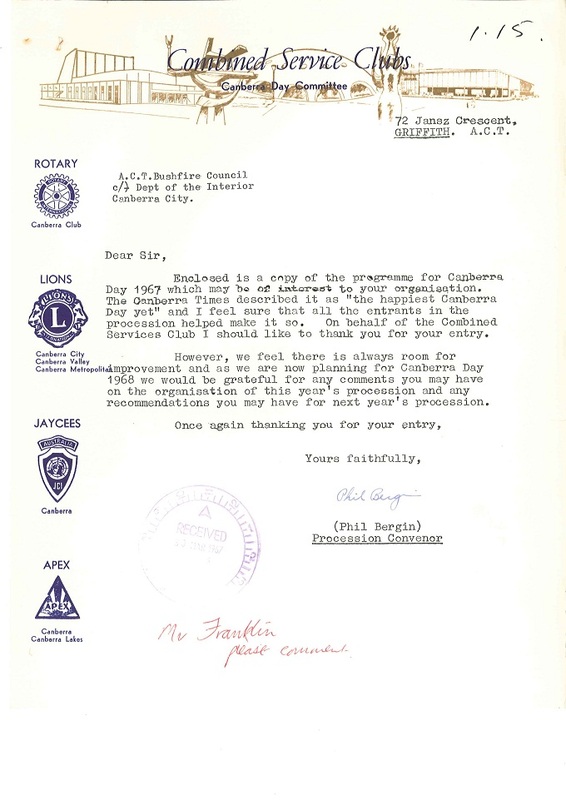 These records are now open to public access. 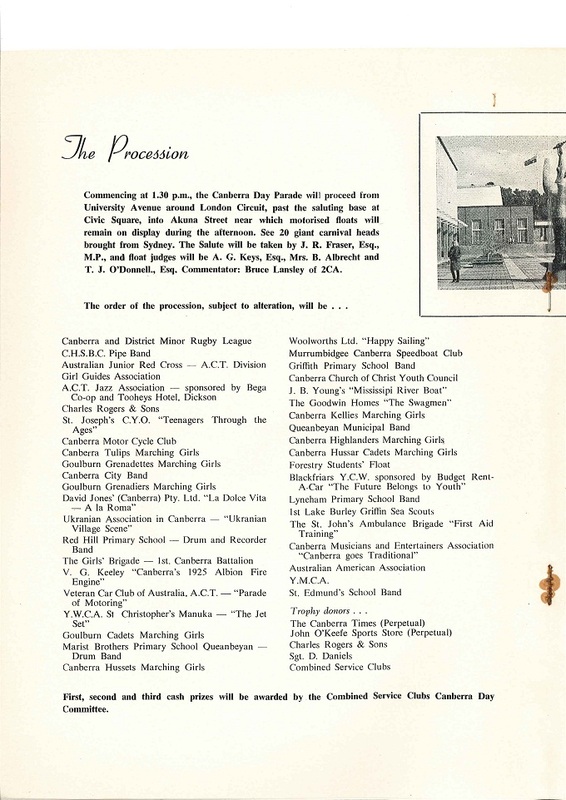 At the same time ACT Cabinet records from 10 years before are also released.